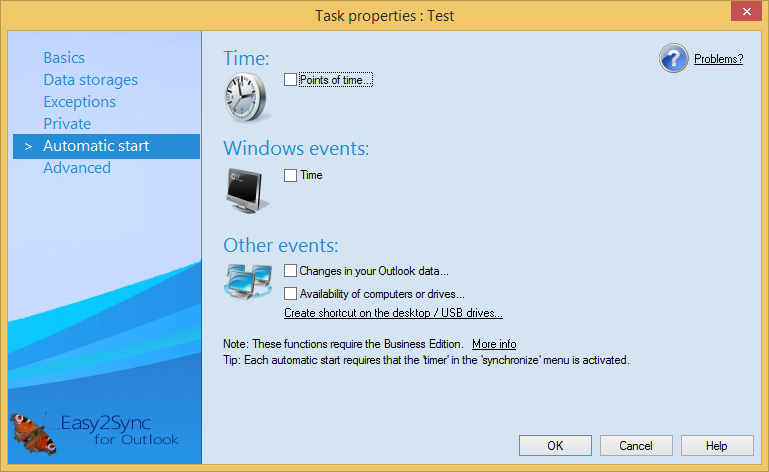 Easy2Sync for Outlook can not only start a synchronization manually, but also automatically, e.g. at certain times. You’ll find the right things for this in the task properties on the page "Automatic Start". Please note that Easy2Sync must be running when shutting down. You can minimize the program into the System Tray (next to the clock). This can be enabled in the options on the page "Window".